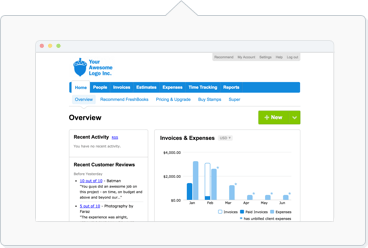 FreshBooks Payments is powered by WePay. All your transactional details can be found inside your WePay account, and you can access your account anytime by logging into WePay here. Update with your new bank details and click Add Bank to finish. The Transfer Period is the withdrawal frequency that determines how often a withdrawal is made from your WePay balance to your bank account. The shorter the transfer period, the quicker you receive your funds. You can choose from daily, weekly, or monthly. Choose your new Transfer Period and click Submit to finish. Payments Report – This shows all transactions that enters or exits your WePay account (payments, refunds, credits). Settlements Report – This report lists all transactions that are grouped together in each settlement. These settlements also include information on when the total settlement amount was sent to your bank.